Friday gym motivation quote: Fridays are all about pain and progress. Fridays are all about pain and progress. For the dedicated, this is what Friday is all about. Pain and progress in the gym. For the gym and fitness addicts, Friday means another day in the gym, pushing through the pain to make those sweet gains! Happy Friday to you all, may you have an awesome workout today! 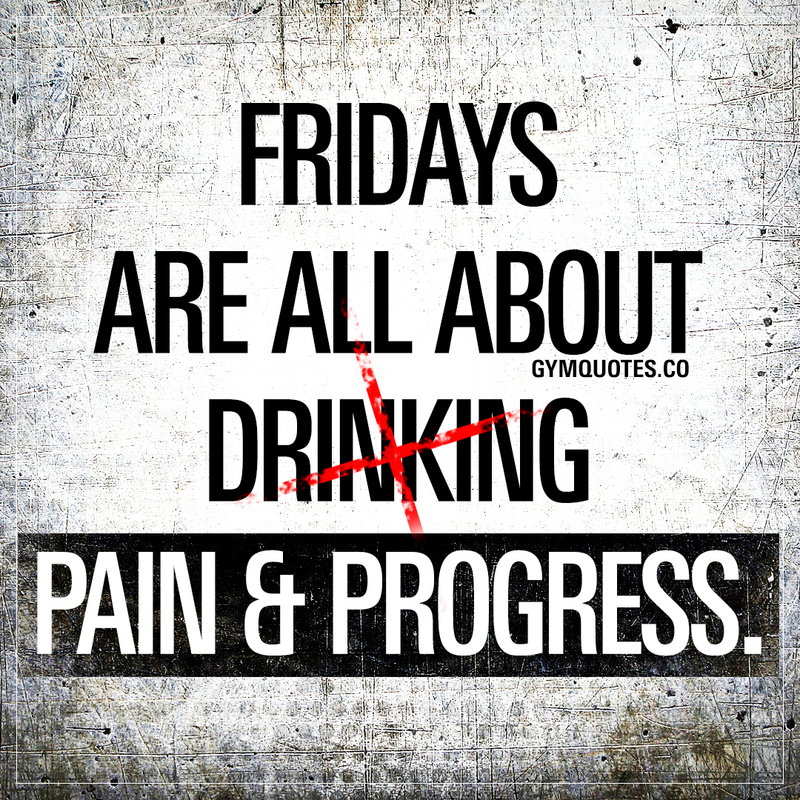 This “Fridays are all about pain and progress” quote (image and text) is copyright © Gym Quotes 2019.